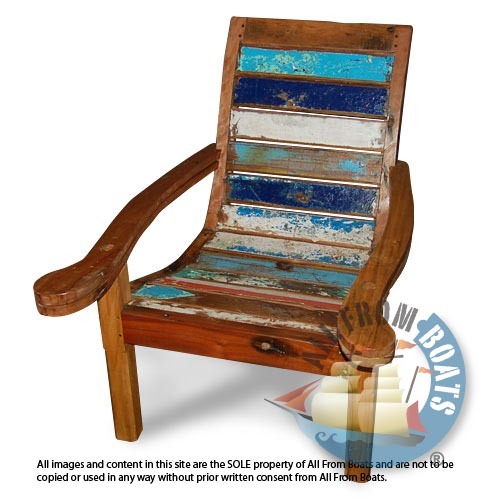 Colonial Chair with extendable arms for leg rest, made from reclaimed boat timber. recycled, reclaimed boatwood furniture. shellac finishing.